The perfect gift for your grandfather (ideal for Father's Day and birthday giving), this beautiful keepsake memory book is designed to capture and preserve grandfather's unique memories, from the days of his own childhood through the precious moments he spends with his grandchild. Includes digital media prompts as well, for the modern grandpa! 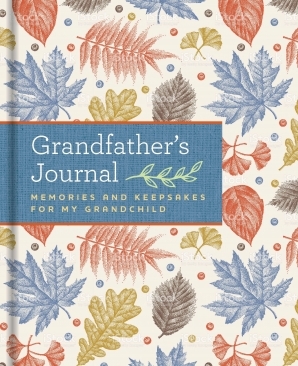 Gorgeously designed, this charming guided journal offers a place to chronicle grandfather's own life story, keep a living record of his experiences, and record his hopes and dreams for his grandchild. Each page includes thoughtful prompts to inspire grandpa to record his most meaningful memories, plus plenty of space for including memorabilia and photographs.